Few can truly grasp the magnitude of that sum of money. But we could try and give you a rough idea in property terms! 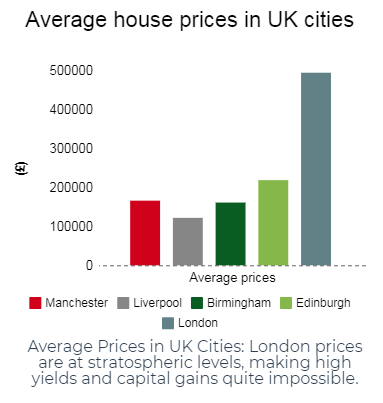 With $1 billion, you can get 4585 homes in Manchester at a cost of £166,000* per home. With a rental yield of 5.90% p.a. ** and annual capital growth of 7.4% p.a. *, that $1 billion can get you total returns of £2 billion*** in 7.5 years! ***Total value of asset + 7.4% capital growth + 5.90% annual rental yields over 7.5 years. Now that’s a whale of an investment! Why just blow it all away when you can put it into a growth asset and double your investment! Got $1 billion to spare and fancy blowing it on some property? Give us a shout! Or let us know in the comment box below what you would spend your money on! 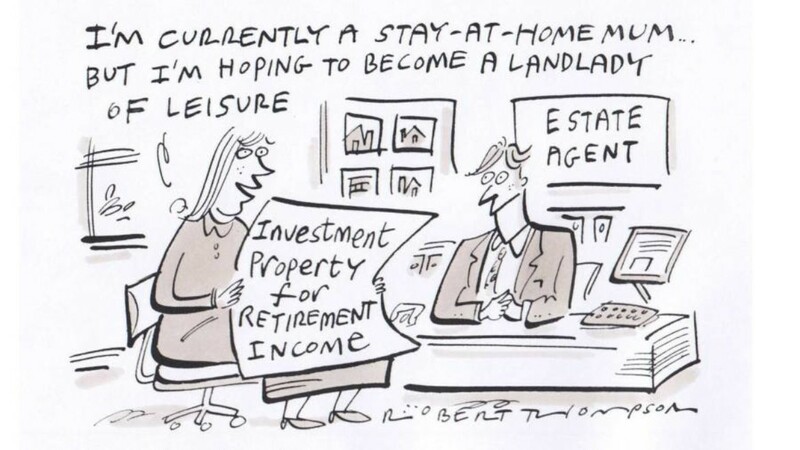 You’ve thought long and hard, and have decided to invest in UK property. What happens next? This article will guide you through the different stages of the investment process. It starts with choosing a property that fits your budget and investment goals and appointing an agency that can take you through the purchase process. Unless you don’t mind the hassle of traveling to and from the UK to deal directly with the developer/seller, a good agency will help you select developers carefully, i.e those with a good track record of completing projects on time. It is important that your agent works closely with the developers, facilitating communication from the developer to you, and vice versa. We recommend investments based on your goals and budget, and once you have decided on the property for investment, you will need to sign Reservation Forms and a Solicitors Appointment Letter. CSI Prop works closely with a panel of recognised solicitors in the UK. We’re happy to recommend our panel, but you may use solicitors of your own choosing. Before proceeding with the contracts to purchase your property, your solicitor will activate the Anti-Money-Laundering process. 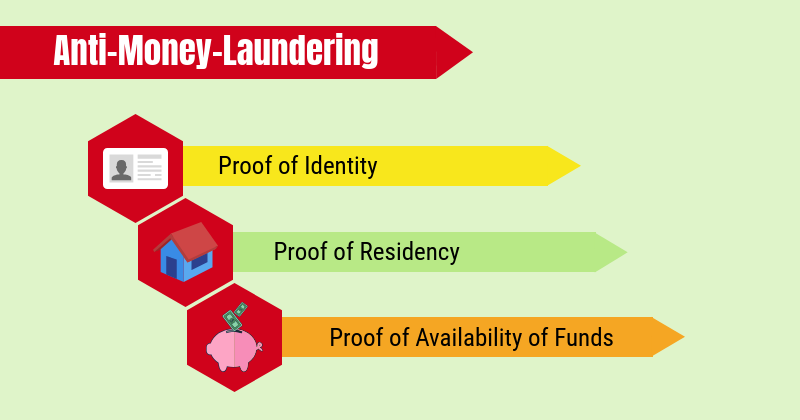 The Anti-Money-Laundering process is a very important part of buying UK property, and is done by your solicitor on behalf of the UK Government to ensure that your purchase funds are not related to suspected money-laundering and terrorism links. Your solicitor will ask for proof of your identity, residential address, availability of funds and its sources. Once you have completed the Anti-Money-Laundering process, you will need to sign the Sale and Purchase Agreement. This is normally done within 28 days of your solicitors receiving the contract from the seller’s solicitors. Together with this Agreement, you will make your first payment to the developer via your solicitors. This amount varies from one developer to another. Progress payments apply for some projects, e.g. UK commercial student property, and the timelines for these payments will be stipulated in the Agreement. There are typically no application and processing fees to finance your property. However, the legal fees can incur up to 1.5% of the value of your property. There are several banks in Malaysia and internationally that offer financing. Please get in touch with us to find out more. When your property is nearing completion, the developer will send a Completion Notice to your solicitors. You will need to make full payment for the property at this stage, which is also known as the final settlement, and pay any applicable stamp duties to HM Revenue & Customs (HMRC). Stamp duty is a percentage of the property price, which varies based on the value of the property, and whether it is categorized as residential or commercial (e.g. UK commercial student property or care homes). CSI Prop can recommend a tax agency to assist with filing and paying the tax on your behalf. Otherwise, you can file the return and pay the taxes yourself. For commercial property, you don’t pay any stamp duty up to £150,000. You pay stamp duty of 2% for the next £100,000 (the portion from £150,001 to £250,000). Any portion above £250,000 is charged at 5%. When you exchanged contracts with the developer, you may have signed an agreement to hire a letting agent. You may also have chosen to manage the property yourself. The letting agent will ensure your property is well-maintained, taking care of all expenses involved, and collecting the rental on your behalf. Note that a condition applies when buying UK property with a rental assurance (such as UK commercial student property). Buyers will have to use the letting agent prescribed by the developer for the whole duration of the assurance period to qualify for the rental assurance. You will need to pay income tax to the UK Government once your property starts generating rental income. We can recommend a qualified professional in the UK to manage your taxes. You may also file your rental income taxes to HMRC through self-assessment (using form NRL1). You may be eligible for the standard personal allowance if it is included in the double-taxation agreement between the UK and the country you live in. This is the amount of income you don’t have to pay tax on every year. For example, Malaysians qualify for this allowance but Singaporeans do not. You get a standard personal allowance of £12,500 (as per 2019/20), unless your income is £100,000 or above. 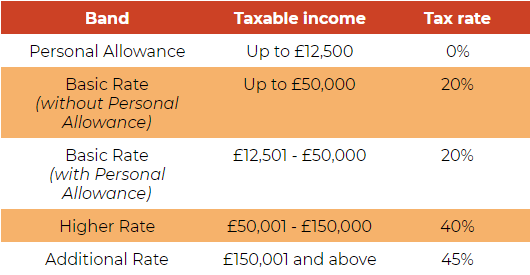 The allowance decreases incrementally (see table below) if your income is above £100,000. Your personal allowance can vary if you apply for Marriage Allowance or Blind Person’s Allowance. You pay 20% tax on the first £50,000 of your income, after deducting any personal allowance. For example, if you have the standard personal allowance of £12,500, you pay 20% tax on the next £37,500 of your income. If you do not have any personal allowance, you are taxed at 20% on the first £50,000 of your income. For the the portion from £50,001 to £150,000, you pay 40%, and for the portion above £150,000, you pay 45%. 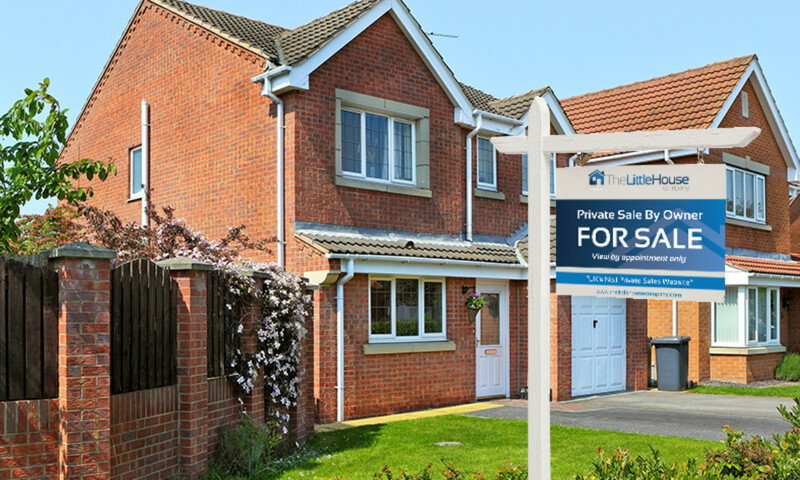 Should you choose to sell off your property, we can recommend a property agent and solicitor to assist you. The agent’s commission rates, your advertising budget, and exclusivity will be decided by you and the agent. The agent will provide an appraisal of the property indicating how much they expect to sell the property for, and tell you how they plan to market your property. Agents normally charge between 2% and 3% of the sale price of residential property, whilst the resale of commercial student property can cost up to 5% of the sale price due to the smaller price quantum of the property. This rate can be negotiated. 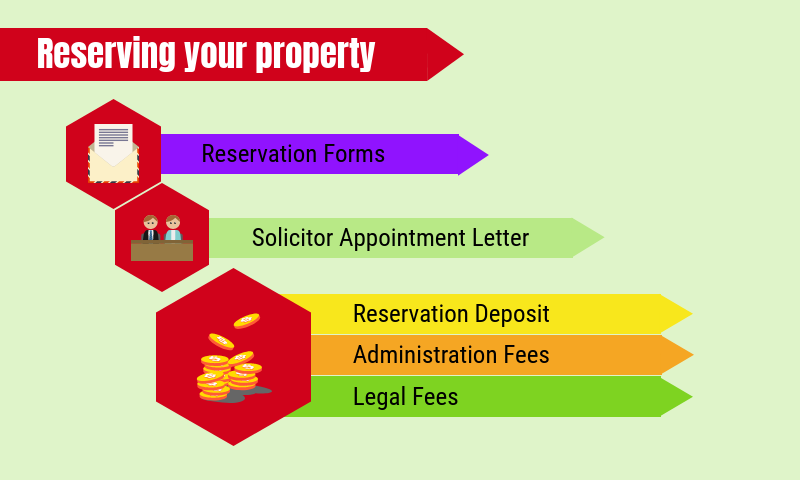 The solicitor’s fees will start from approximately £2,000, depending on the value of your property. Take note that, unlike stocks, property is not a liquid asset, and you should always expect that it will take some time for the property to be sold. The sale of UK property is subject to Capital Gains Tax (CGT). Capital Gains Tax (CGT) is paid on any gains you make when you dispose of your property. Your taxable gain is the difference in price between the purchase and sale of your house, after taking away any allowable expenses and your personal allowance (if selling as an individual). All non-UK residents get an annual personal allowance of £12,000 for CGT (as per 2019/20). Allowable expenses include the stamp duty paid upon the purchase of the property, agent fees and legal fees incurred during the purchase or sale, and payments for valuations made on the property. Jason sells his apartment for £275,000. He had previously bought it for £200,000, giving him a total cash gain of £75,000. Jason must report the sale to HMRC, complete a full CGT computation and pay any CGT within 30 days of transfer. Jason’s expenses come up to £30,400, and after deducting his personal allowance, has a total taxable gain of £32,600. Since his total taxable income is less than £50,000, he will be taxed on his gain at the CGT rate of 18%. This will come up to a tax of £5,868, or 2.13% of the apartment’s sale price. Click here for more guides on property investment, and please subscribe to our website notifications to get the latest updates! Leave us a comment below if you have any thoughts or questions on our article. If you are interested to explore investing in UK property for high returns, or if you need us to refer you to a good tax firm in the UK, don’t hesitate to give us a call at (65) 3163 8343 (Singapore), 03-2162 2260 (Malaysia), or email us at info@csiprop.com! Disclaimer: This guide is an outline of CSI Prop’s purchase process, which may differ from other consultancies. CSI Prop does not provide tax & legal advice and accepts no liability. Readers are encouraged to consult a qualified tax or legal advisor for a thorough review. You should also seek advice based on your particular circumstances from independent advisors and planners. Exactly one week ago, Malcolm Turnbull saw his three-year reign at the helm replaced by former treasurer Scott Morrison, following much political chaos within the ruling Liberal party. 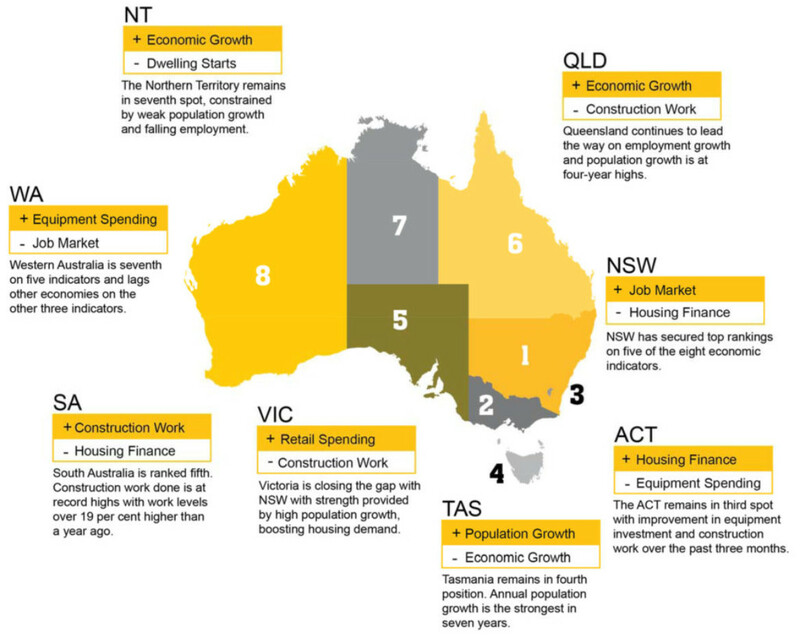 Australians and foreign investors alike will be keeping an eye on what happens to the economy and housing market. Here’s a snapshot of the new Australian PM. Former treasurer, Scott Morrison is Australia’s new Prime Minister, replacing Malcolm Turnbull who stepped down after three years following a bitter tussle in the Liberal Party leadership. Scott Morrison, or ScoMo, is also Australia’s 30th Prime Minister — the sixth, in fact, in the last 11 years alone. In a closed-door meeting of Liberal lawmakers last week, Morrison won 45 votes to 40 over right-wing populist Peter Dutton. Morrison was known as the most conservative members of the Liberal’s moderate wing. The Prime Minister is an observant pentecostal Christian who grew up in a Christian home, in the beachside suburb of Sydney. Married with 2 daughters (after a long 18-year wait and 10 attempts at in vitro fertilisation), Morrison had a brief career as a child actor, appearing in several TV commercials. He achieved some notoriety as managing director of Tourism Australia when he approved an $180m international advertising campaign that was subsequently banned in Britain for crass language. Morrison’s exposure to politics began at a young age. At 9, he handed out “how to vote” pamphlets on behalf of his father, a former policeman and local councillor who served as mayor for a spell. He was elected member of parliament in 2007, holding several positions in government, including minister of Social Services, minister of Immigration & Border Protection and, up until last week, Treasurer. ScoMo was (in)famously an ardent supporter and enforcer of a contentious policy which turned away immigrants who tried to enter Australia illegally by boat. These asylum seekers were detained in offshore camps. 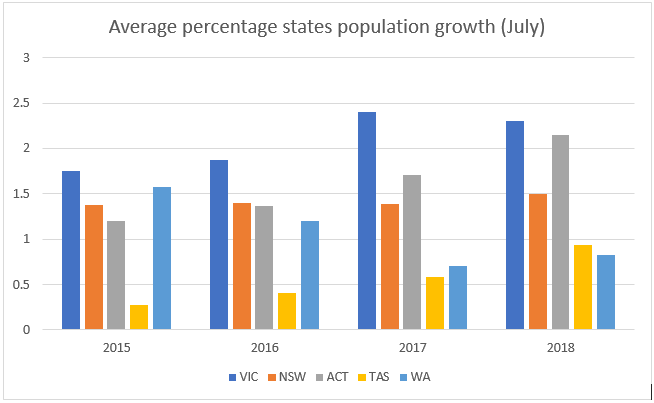 Conversely, when it comes to skilled migrants, Morrison is clearly a supporter and was known to rebutt former Prime Minister Tony Abbott’s proposal to cut migration rates. According to Abbott, the current intake of permanent migrants had affected house prices and wage growth in Australia. He suggested that immigration numbers to be cut by 80,000 a year. The suggestion did not sit well with ScoMo who felt that Australia had benefitted tremendously from skilled migrants. “If you cut the level of permanent immigration by 80,000 it would cost the budget, it would hit the bottom line — the deficit — by $4 billion to $5 billion over the next four years,” Morrison quickly countered. “Basically the economy (would not be) growing at the same level and people who come as skilled migrants pay taxes, make a net contribution to the economy. “Currently two-thirds of permanent migrants have skills needed by the economy. A cut in overall numbers would reduce the skilled total and emphasise family migration which ultimately gets more dependent on welfare,” he added. Australia’s foreign migrant inflow continues to drive the growth of the housing market. Morrison is a supporter of APRA’s regulatory controls, believing that it would help in rebalancing the market. This, according to an analysis in the Australian Financial Review, is part of what makes him a “property person’s prime minister”. He is no stranger to real estate, having worked as national policy and research manager for the Property Council of Australia for 6 years and, according to industry captains, has “shown a deft touch in managing fears around the overheated investment market”. Morrison is well aware of the conditions of the housing market in Australia but holds a firm belief that the country is not headed towards a housing market crash, citing APRA’s regulatory controls to credit access will help create a smooth landing. To date, Australia holds the record for not going through a recession for 26 years. 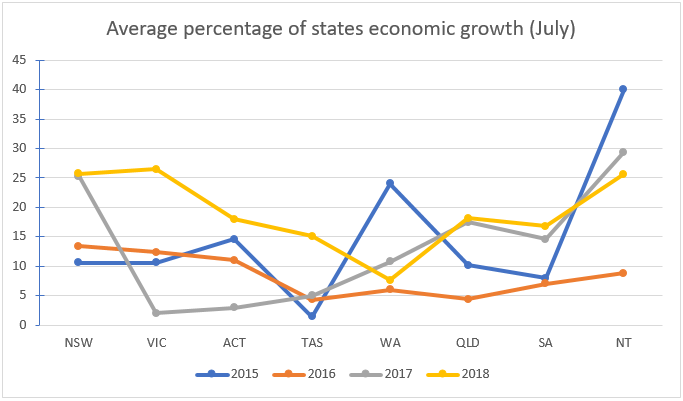 During ScoMo’s watch as Treasurer, Australia’s economy grew 1% in 1Q2018 and 3.1% annually, placing Australia on top of advanced economies in terms of economic growth. 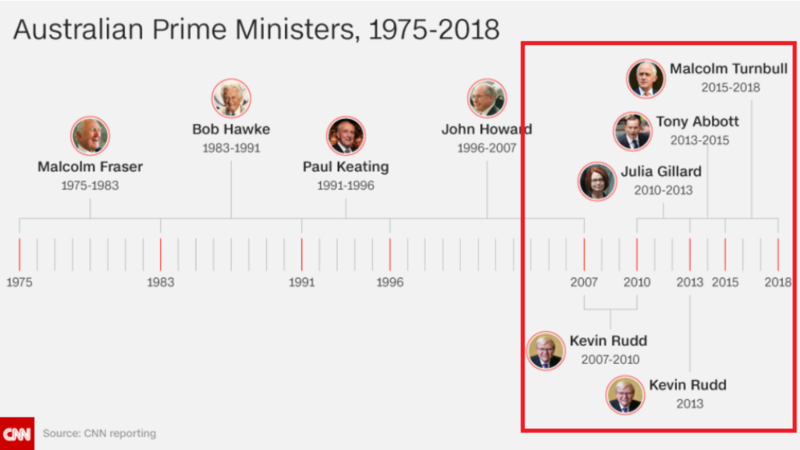 Up until now, not a single Australian Prime Minister has completed a full term. The frequent upheavals have left foreign allies uncertain, according to experts. What happens from here is anyone’s guess. There are supporters and naysayers on both sides of the political divide, but ScoMo has, at the very least, until May 2019 when the country goes to the polls, to prove himself and the Liberal Party worthy. How do you think Scott Morrison will fare as the new Prime Minister of Australia? Share your thoughts with us in the comment box below. If you’re keen to learn more about investing in Australian property, call us at 016-228 8691/ 9150 (MY) or (65) 3163 8343. 100 Days On, Is there Hope in Pakatan Harapan? Today marks Pakatan Harapan’s 100th day in power since the political earthquake that shook Malaysia — the 14th General Election. The pressing question is whether the nascent government has delivered on its word and lived up to the expectations of Malaysian voters thus far. The last three months for Pakatan has been like a walk on the proverbial tightrope, with the coalition struggling to deal with the threat of bailing investors and a sovereign downgrade, and a national fiscal debt that has turned out to be more critical than expected. A survey carried out by the Merdeka Centre earlier this month (August 2018), found that Malaysian citizens were largely satisfied with Pakatan Harapan ministers, but with some concerns about the economy, and racial and religious rights. As part of its election manifesto, the government had pledged to deliver 10 promises in 100 days, but not all of these promises have been fulfilled. 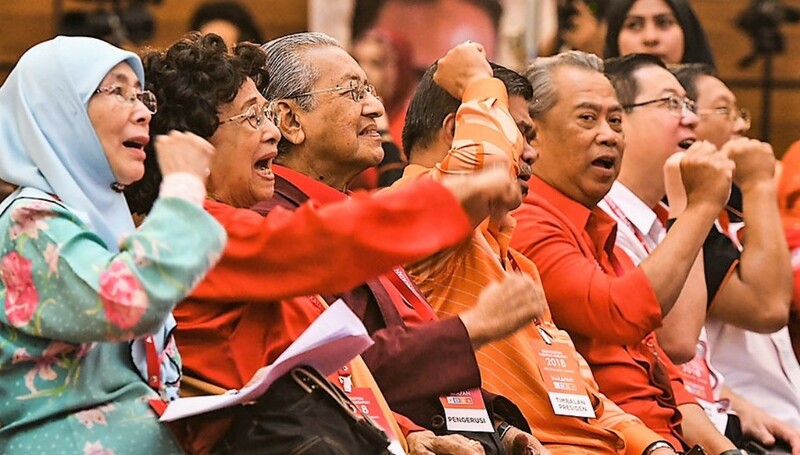 Tun Dr Mahathir Mohamad, the Prime Minister, said that the reason behind the government’s inability to fulfil the 10 promises was because they had to prioritise other important matters. “The government’s focus is not only on the 10 promises in 100 days, the government has a lot of work to do and this includes ‘cleaning up’ the government which was tainted with corrupt practices and abuse of power during the past administration,” he said. Harapan Tracker, a website which monitors the government’s performance, gave Pakatan a score of 45%, a cumulative average from its two scores of “the letter of the promise” (30%) and “the spirit of the promise” (60%). 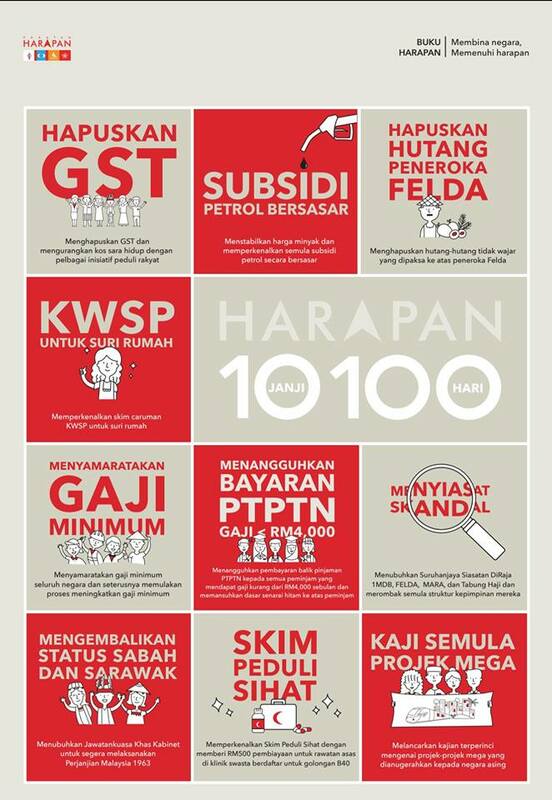 The housing sector, in particular, was not included in Pakatan’s list of 100-day promises. Many Malaysians are concerned about housing, and rightly so. There has been a glut of high-end residential property and a scarcity of affordable housing in the country — an imbalance that has caused many Malaysians, especially those from the bottom 40% of income earners (B40), to be unable to afford their own homes. Dr Carmelo Ferlito, an economist with the Institute for Democracy and Economic Affairs (Ideas) said the spectacular growth of the high-end property segment was ignited by rising profit expectations, growing demand and easy credit conditions. Zuraida Kamaruddin, the new Housing Minister, has embarked on a consolidation of all affordable housing projects under the Ministry in an effort to streamline the building of affordable homes. Certain projects like the 1Malaysia Housing Programme (PR1MA) were previously placed under the Prime Minister’s Department. The new National Affordable Housing Council is expected to begin its work this month (August 2018) once papers regarding its set-up are finalised by the Cabinet. The council will monitor the construction of affordable housing, coordinate databases and implement a self-renting scheme for the B40 and M40 (middle 40% of income earners) groups nationwide. Ms Zuraida also plans to set up a one-stop online platform for affordable housing that would enable buyers to submit an application online, and find out their approval status within days. In an effort to further bring down the price of housing in Malaysia, Finance Minister Lim Guan Eng announced that building materials and construction services will be exempted from the upcoming Sales and Service Tax (SST). The SST is set to kick in on Sept 1. Under the previous Goods and Services Tax (GST) regime, building materials and construction services were subjected to a 6% tax. However, players in the construction industry are not optimistic that the tax exemption will impact house prices significantly. Datuk Steve Chong, chairman of the Real Estate and Housing Developers’ Association (Rehda) in Johor, thinks that the exemption is insufficient to bring down the prices of homes. “We believe that the savings is too small to be passed on to homebuyers which will not in any way translate to a significantly lower price for homes in future,” he said. Malaysian Institute of Architects (PAM) president Ezumi Ismail added that raw materials only accounted for less than a third of the total development cost, and other factors contributed to high housing prices. “The rest … would consist of the cost to purchase the land and other compliance charges that come with the building the houses or units. SST may reduce the house prices but it may not be much. “Some projects require the developers to construct basic infrastructure and facilities that are supposed to be built by utility companies. The added cost would then be (pushed) back (to) the consumers. It would be better if the authorities come up with a building master plan that could address these issues,” he added. A new National Housing Policy is expected to be announced in September with a considerable number of changes, one of which includes the rental-tenancy market. The rising supply of residential properties, particularly condominium and apartment units, has caused rentals to continue to drop in Kuala Lumpur. There is a silver lining in sight. Yet, it may be a long while before housing issues are fully addressed in the country. Until then, what stands to remain is the loftiness of house prices in prime areas like the Klang Valley and Penang — and to a certain extent, Johor Bahru — which will impact not just first home buyers, but also local property investors. With economists slashing economic growth forecasts due to weak economic data (ahead of Bank Negara Malaysia’s release of GDP 2Q2018 figures), and potentially more fiscal tremors ahead, a single 5-year term may not be enough for the government to make the changes it wants to. Investors should continue to maintain a wait-and-see stance before embarking on investment-related decisions in the local property market or, alternatively, look beyond Malaysian shores. Virata T of CSI Prop says that investors can still get good returns on properties in countries abroad. “With rental yields dropping locally, investors wanting to invest in property could look overseas to get better returns on investments. There is a rising interest among Malaysian investors for this type of investment,” he said. What do you think of Pakatan’s performance so far? Leave us a comment below! 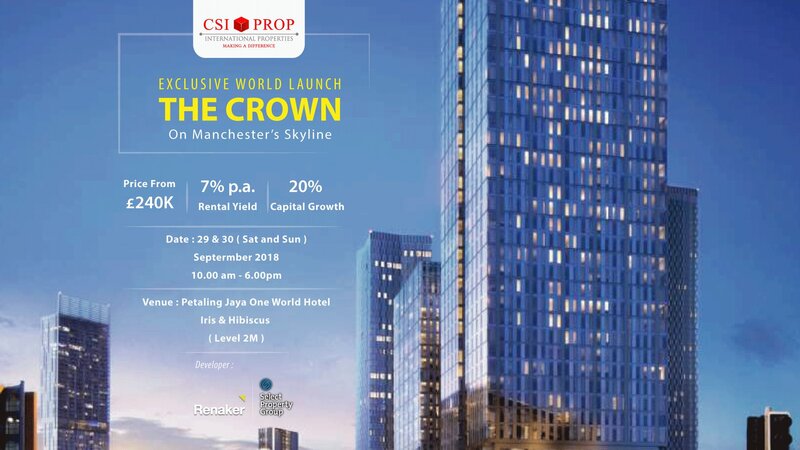 If you are curious about investing overseas and the returns you can obtain thanks to low vacancy rates, call (+65) 3163 8343 (Singapore), 016-228 8691/ 9150 (Malaysia), or email us at info@csiprop.com! 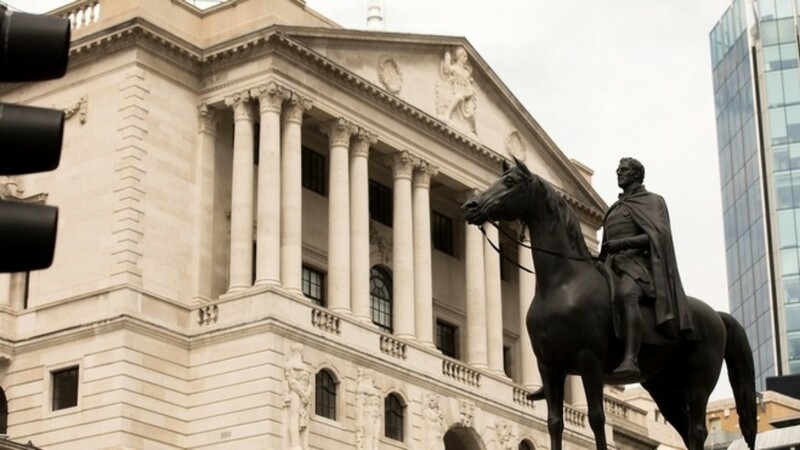 The Bank of England raised interest rates for the second time in under a year. 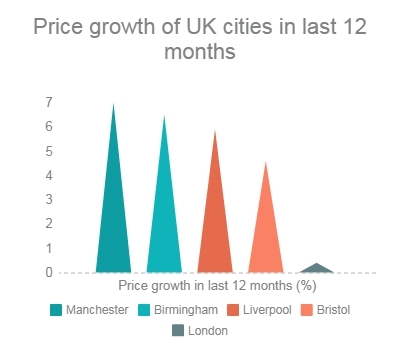 What does this signal and how will it affect the UK housing market? The Bank of England (BOE) has raised interest rates to 0.75%. The hike was the second since the 2008 financial crisis. Last November it rose to 0.5% from 0.25%, the first time in almost a decade. The BOE Monetary Policy Committee, which decides interest rates, voted unanimously for an increase in rates following positive economic growth and an encouraging labour market. BOE Governor Mark Carney told reporters that economic growth rebounded in the second quarter, after a slight slowdown at the start of the year. The bank’s forecasts show that consumer price rises could reach 2.2% in 2019 and 2.1% in 2020. The BOE is likely to increase rates further if its forecasts prove right. Any future rise in rates, however, is likely to be at a gradual pace and to a limited extent. This points to continued stability in the real estate market. Andrew Burrell, JLL EMEA Head of Forecasting, says: “The (rate) rise has been largely priced in and is not expected to have major impact on real estate markets.” He observes that there will be more pressure on yields from market rates eventually. Despite the rate hike, returns from real estate continue to remain attractive when compared to other asset classes. Working in favour of the UK real estate market is the employment rate and stable consumer confidence, as well as the OECD predictions of global GDP growth at 3.8% for this year. 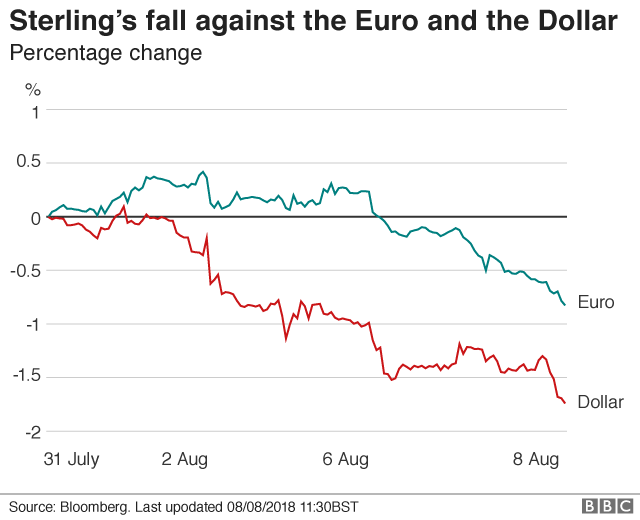 The falling pound dropped to its lowest level against the euro in nearly a year last week on 9 Aug, but edged higher against the Euro to 1.12 this week (as of 16 Aug). Stabilization of the pound could be due to the rate hike, which usually pushes up its value, and news reports detailing the potential for a concession being put on the table by the EU in the ongoing round of Brexit negotiations. Some member states are reportedly ready to allow Britain to remain in the single market for goods while opting out of the free movement of persons. The trade-off is that the UK replicates all new EU environmental, social and customs rules in addition to those set out in Theresa May’s Chequers proposal. This marks the first major divergence between the European Council, which is made up of leaders from member states — and the European Commission. The concessions will be discussed at a meeting of leaders from both sides in Salzburg this September. The currently weak pound provides foreign investors with a window of opportunity to buy into UK property and obtain good returns. Jeremy Stretch, head of FX strategy at Canadian Imperial Bank of Commerce said the pound typically underperformed during the August holiday period. CIBC had tracked the pound’s performance on a monthly basis over the last 15 years. Following this trend, foreign investors who are interested in UK property may want to consider entering the market now before the pound starts to rise again. Could Birmingham be the next London? 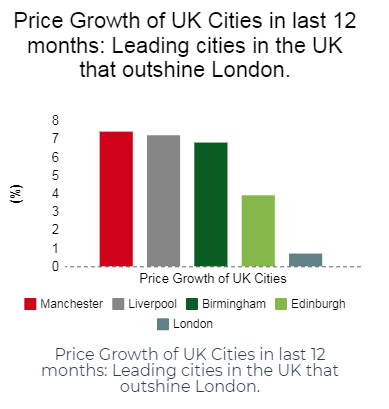 Due to costly house prices, as well as lesser employment opportunities, many Londoners, especially millennials, are relocating to Birmingham, and the other booming cities of Manchester and, Liverpool . Ultimately, urban regeneration has played a vital part in these cities’ transformations, influencing the movement of millennials towards greater opportunities such as education, jobs and employment options. Savvy investors are starting to see the opportunities in store for Birmingham. Are you an investor? Are you thinking of making your money work for you? Then you don’t want to miss out. Call us at 03-2162 2260 or (65) 3163 8343. Excitement was the order of the day as the CSI PROP Investor Club combined an educational and advanced session on UK property taxes together with a screening of the FIFA World Cup Finals on July 15. 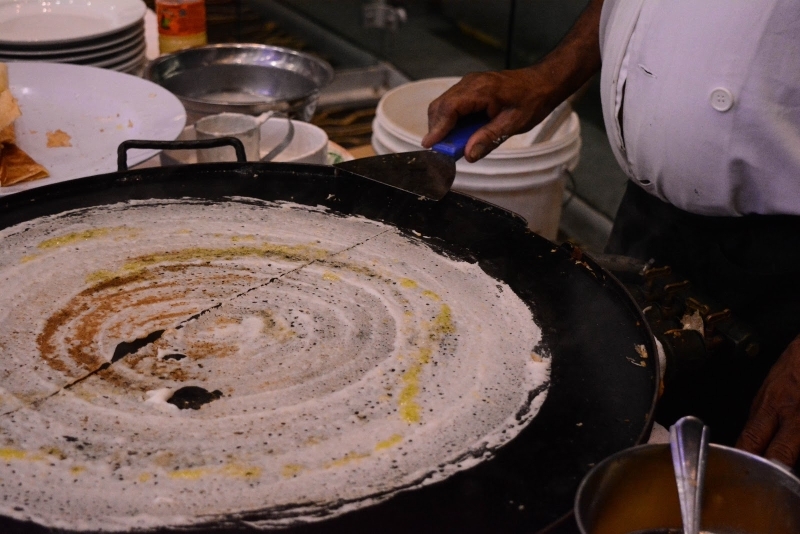 In keeping with our theme of Gila Bola, CSI PROP served an ambrosial mamak-style spread featuring roti canai and thosai cooked a-la-minute and made extra fragrant with generous drizzles of ghee. 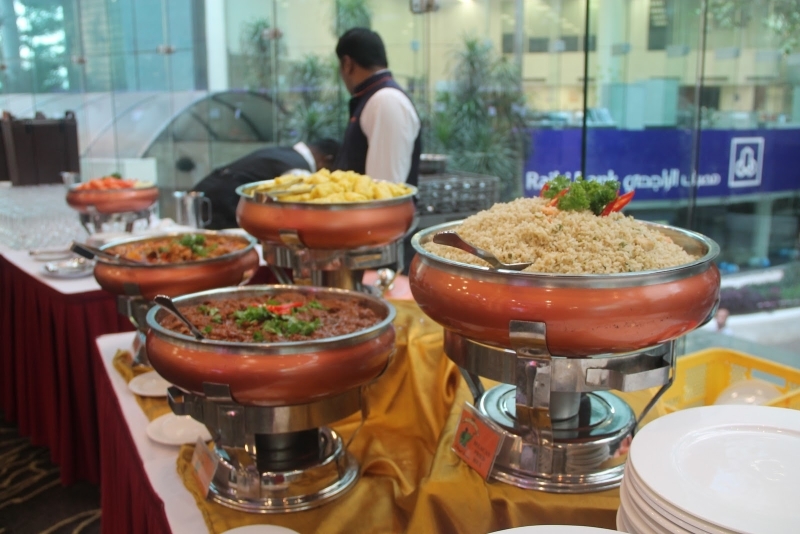 The other delightful dishes of belacan fried rice, roti jala, dhall curry and mutton Myrose Rajah were a real treat, too! 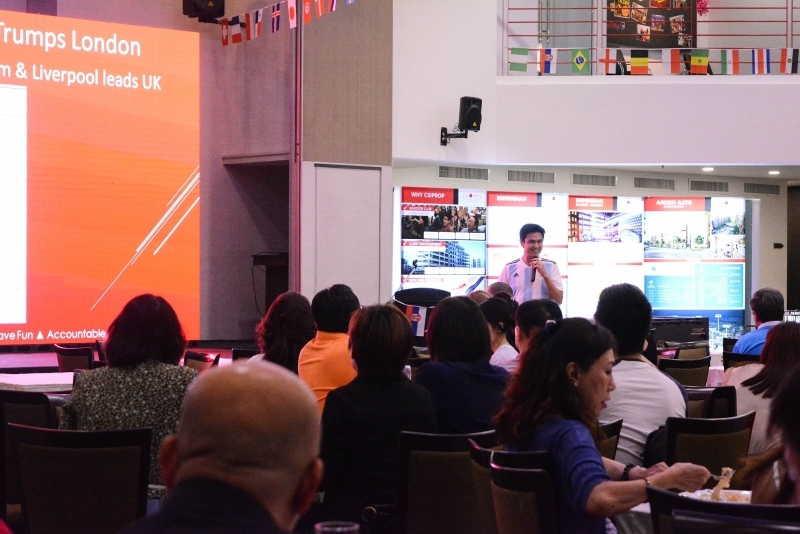 While the guests filled their bellies, CSI PROP director, Virata Thaivasigamony took the stage to deliver a formal welcome and share about the investment outlook in the UK and Australia for the year. He spoke about how property in the various cities in which our projects are located had performed over the past year, particularly the regional UK cities, which saw good growth values. Melbourne also performed well, superseding all other Australian cities. 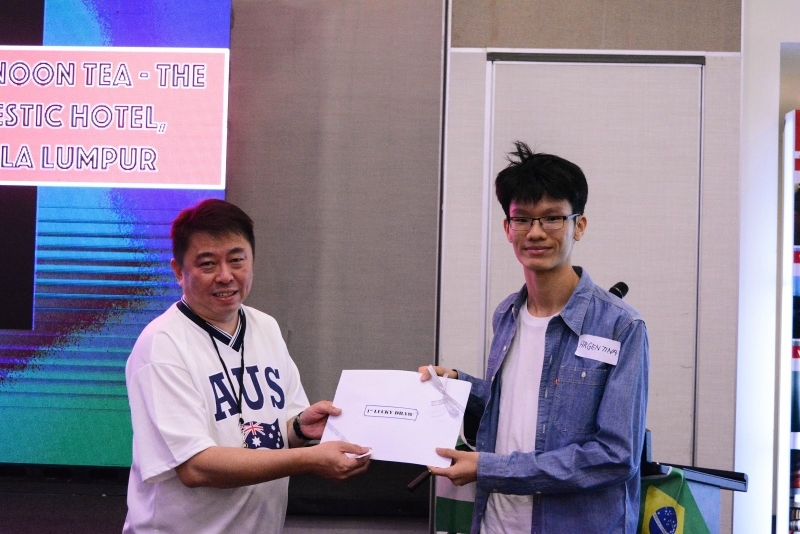 Guests had the chance to win exciting prizes in the Lucky Draw, which comprised a 3D2N stay at Pangkor Laut Resort, return flight ticket to London, afternoon tea at The Majestic Kuala Lumpur and the official World Cup Ball. (Adidas Telstar 18) and. Knowledge — as much as Having Fun — is an important part of the CSI PROP mission. 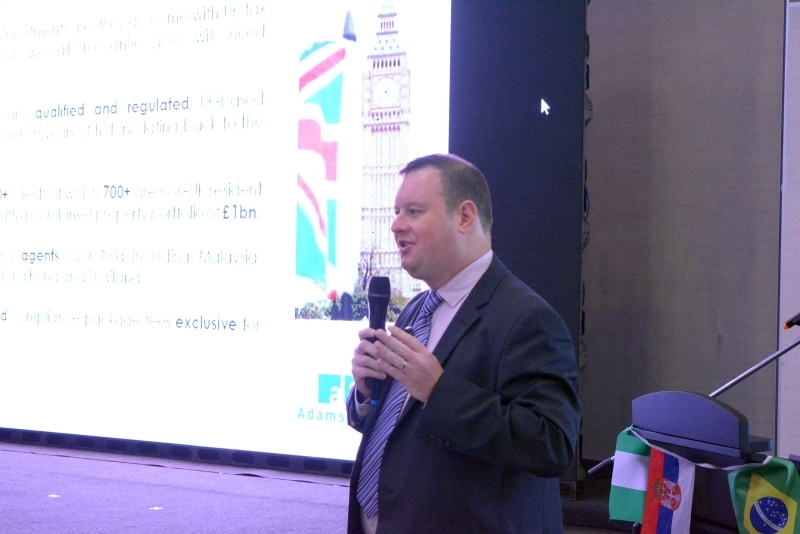 Richard Jepson, our special guest speaker from Adams and Moore Tax Consultancy Ltd, flew in from the UK to talk about Advanced Strategies for UK Tax as well as Basic Tax Filing It was indeed a pleasurable sharing session by someone who has been in the industry for over 15 years. Richard highlighted few components of the UK tax system, as well as the investment vehicles that investors can employ in buying, renting and selling their investment properties. As a bonus, he also stressed on the top three things that savvy UK property investors can do to manage their UK taxes. 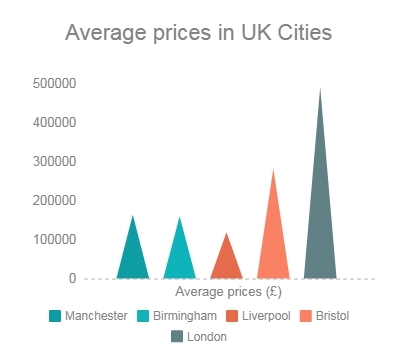 These are important as a guide for those who want to invest in the UK property market. 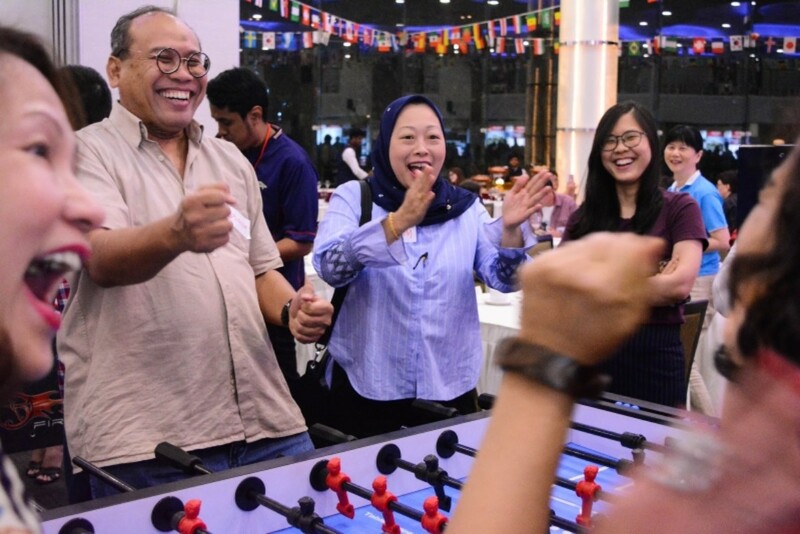 To add to the excitement and joy of the atmosphere, we held a thrilling foosball competition for our sporting guests. The grand prize was a pair of return flight tickets to Melbourne, whilst our runner-ups won Adidas Telstar 18 Glider balls. Excitement was in the air as guests sportingly participated in the CSI PROP Investor Club foosball competition. The mini foosball tournament was based on actual World Cup 2018 matches, complete with quarter-final, semi-final and final rounds. Each team comprised two people representing the 16 countries that qualified for the World Cup. The CSI PROP Investor Club event ended with alive screening of the World Cup 2018 finals between France and Croatia on a huge high-definition LED screen. Shouts of excitement and frustration reverberated across the hall as our high-spirited guests supported their preferred teams. The night ended on a high note — certainly, it served as a perfect precursor to our next Investor Club this September. Stay tuned for yet another fun-filled and memorable experience! Don’t you wish you were there watching the World Cup Finals with us? If you’d like to get started on high-yield, low-risk property investments overseas and be a part of our ever-growing group of savvy investors, give us a call at 03-2162 2260, or email us at info@csiprop.com. Investors have the option of purchasing property as an individual or via an investment vehicle, such as through a company. Different taxes apply at different stages of owning a property — when you buy it, whilst you own it, and when you dispose of it. In Part 1, we covered the taxes that are applicable at the purchase stage of the investment. Part 2 covered the next stage of investment, ie when you have already taken possession of the property. Here in Part 3, we talk about what entails when you dispose of your UK property. When you sell your home, you may need to pay Capital Gains Tax (CGT) on any gains you make when you dispose of your property. CGT is currently only applicable to residential property. Commercial property such as student property and care homes will be subject to CGT from April 2019. Your taxable gain is the difference in price between the purchase and sale of your property, after taking away any allowable expenses and your personal allowance (if selling as an individual). All non-UK residents get an annual personal allowance of £11,700 for CGT. Jason sold his apartment for £275,000. He had previously bought it for £200,000, giving him a total cash gain of £75,000. Jason’s expenses come up to £30,400, and after deducting his personal allowance, he has a total taxable gain of £32,900. 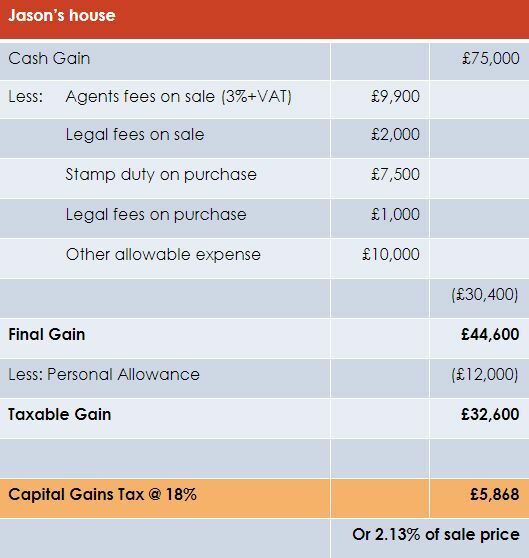 Jason’s taxable gain is less than £46,350, so his CGT rate is 18%, and this will come up to a tax of £5,922, or 2.15% of the apartment’s sale price. If you are leaving your house to your heirs, you may want to take note of the taxes involved in bequeathing it. Inheritance Tax will need to be paid on any UK assets you pass on. Currently the tax is at 40% for any amount above £325,000 per individual (what is called the ‘nil-band’ allowance). Andrew owns a house worth £350,000, which is his only UK asset. He leaves the house to his son. The house’s value exceeds the allowance threshold by £25,000, and the Inheritance Tax on that amount would be £10,000. The tax is paid by Andrew’s son who inherits the house. You can put estate-planning in place to significantly reduce the tax your heirs will need to pay. This could be something simple like bringing on a spouse or re-mortgaging your house. Spouses can inherit their partner’s allowance, effectively doubling their tax-free allowance to £650,000. Barry owns a house worth £500,000, which is his only UK asset. He leaves the house to his wife. There is no IHT for passing on the house to a spouse, so Barry’s wife will not pay any tax. However, Barry’s wife also inherits Barry’s allowance. When Barry’s wife dies, the son inherits the house. Barry and his wife’s joint allowance is £650,000, which is more than the value of the house, and the son will not need to pay any IHT. An outstanding mortgage can also be tax-deductible against your estate, and will lower the amount of Inheritance Tax charged. A good tax planner will advise you on your best options, ensuring that your heirs will get the maximum benefit out of what you leave to them. Click here for more guides on property investment, and please subscribe to our website notifications to get the latest updates! Do leave us a comment below if you have any thoughts on our article. 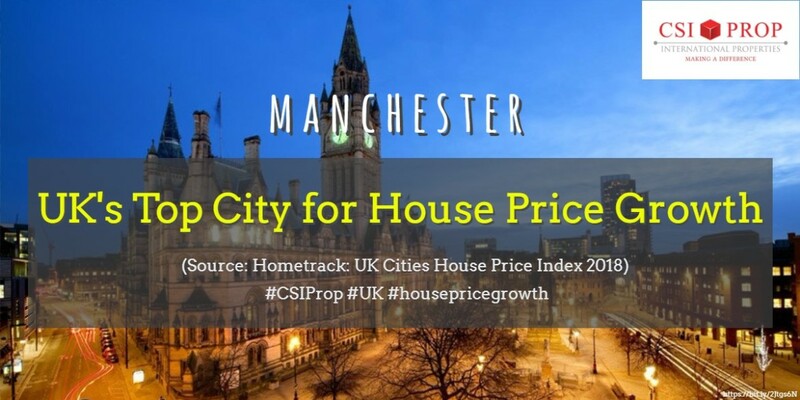 If you are interested to explore UK Property’s potential for high returns, or if you need us to refer you to a good tax firm in the UK, don’t hesitate to give us a call at 3163 8343 (Singapore), 03-2162 2260 (Malaysia), or email us at info@csiprop.com!